The Westminster Suite is located just one block away from the Austin Convention Center, two blocks away from the world famous 6th Street and the Warehouse District, and a small number of blocks away from every other downtown attraction including hundreds of restaurants, bars, movie theaters, lounges, nightclubs, and live music venues. The town lake walking/jogging trail is just a few blocks away, there is a yoga studio (Wanderlust) just across the street. Further, Starbucks is less than a block from the front door, as is an Uncle Julio’s Mexican Food restaurant. 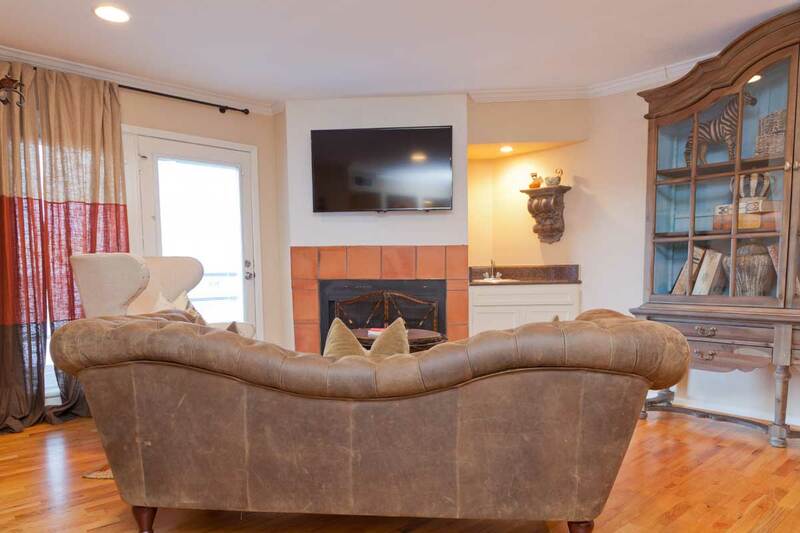 This 900+ square foot unit features accommodations for up to 6 guests (two queen beds and a queen-sized air mattress), central air and heat, a full-sized stackable washer and dryer, a small covered balcony, free cable television, free wireless internet access, wood burning fireplace, and plush furnishings. With granite counter tops, renovated kitchen and bathrooms, flat screen televisions mounted on the walls, and convenient access to the pool, every detail has been considered to make your stay a pleasant one. This apartment on 4th street is wonderful. Super central and convenient to everything downtown. I was in Austin for a conference and the apartment was only a couple blocks from where the conference was. Super close to the convention center and all surrounding downtown hotels as well. The apartment is really cute and comfortable. 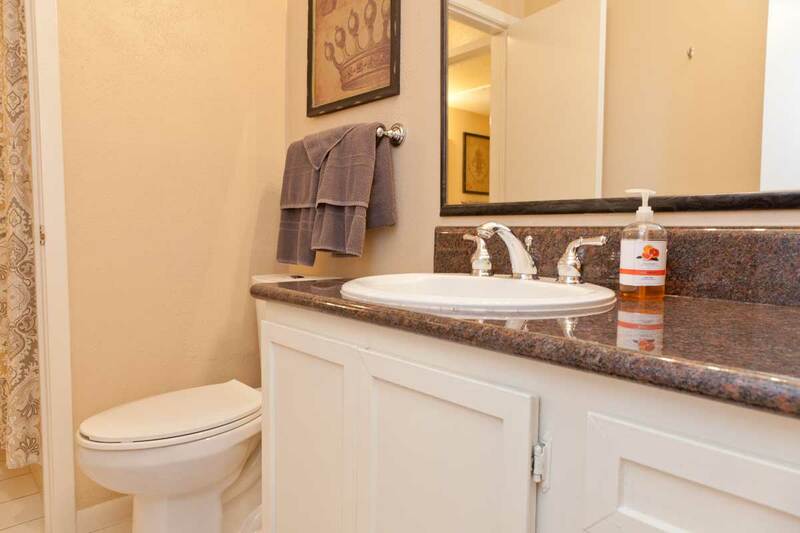 Nicely decorated with a lot of amenities – coffee, TV, wifi, laundry. Ryan was really available and sent me a bunch of information about the apartment and surrounding area prior to my arrival so I felt well taken care of. Conveniently located downtown and close to everything. Nice grocery store around the corner and coffee nearby. The host (Ryan) was very accommodating and allowed us to check-out late, which was cool because we had a late flight home. Would stay here again. Ryan and his colleagues are very friendly, communicative, helpful and responsive people. We enjoyed our week staying in this appartment which we can absolutely recommend. Very good location, too. 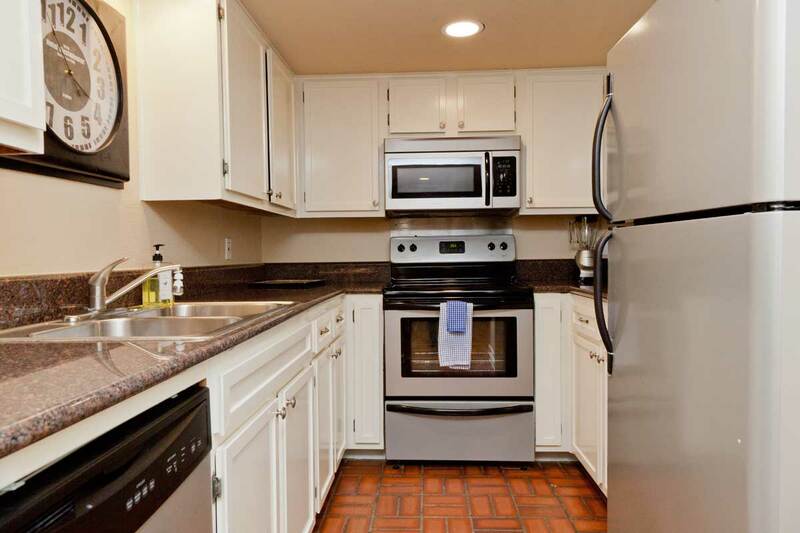 (Downtown, 2 minutes to 6th street, 2 minutes to the airport bus). The host gave us so many suggestions on where to go and what to do in the area. Lejligheden ligger perfekt i forhold til omkringliggende kongreshoteller og den livlige 6th street. Lejligheden var fint indrettet – som beskrevet – og den ligger rigtig fint i forhold til den fælles pool. Pga. beliggenheden, så tæt på 6th street, må man forvente lidt støj fra festglade mennesker på gaden, i løbet af natten. Place was as described and very convenient for getting around. Only a block and a half from Congress Ave. Awesome that a bus from the airport can bring you almost to the doorsteps. FYI, the fare is $1.75, and they do not give change. Many good eats nearby and dirty 6th St is only a couple short blocks up. Very easy to get in and out of the building and room as you just need to remember the codes. Everything inside worked – had no issues. All modern appliances. Beds were comfortable. We were fine with limited interaction with Ryan. We did ask for a late checkout, and he/mgmt responded immediately and said it was ok. Would definitely stay there again if I ever go back to Austin. The host met us at the door and made sure we could get in okay. The space was accurately described in the listing. The beds were comfortable and the space was clean and bright. The location was perfect since we were walking to the convention center several times a day. The apartment was just as pictured and was conveniently located near the convention center and several restaurants in the area. It is close to all the major bus lines as well. It was the perfect place to stay! Ryan’s suggestions for local places to visit and eat at were great. At night, the pool area did get a bit noisy at times, but nothing too outrageous (just people enjoying the warm weather and having fun). However, since the bedrooms are located on the far side of the apartment, the pool noise was not a factor. I would definitely stay here again if I’m ever in Austin. This was really great and awesome! The apartment was really clean, and it’s in such a convenient location, particularly for SXSW. Would stay here again! Very inviting space that was perfect for our visit to Austin. Ryan made the space feel just like home away from home! Highly recommended! I visited Austin for professional reasons and the apartment proved to be a very convenient and relatively cheap solution for me. It is located in the heart of Austin, right next to downtown and 6th street where all the party goes on. The place is spacious and nicely decorated and the pool looks extremely nice although I didn’t get the chance to use it due to the long hours I spent outside the apartment. Accessing the premises was very easy after taking bus 100 from the airport to town. Both doors to the condominium were code operated which made entering the building smooth and fast and my stay there stress-free since I didn’t have to carry any keys around. I didn’t meet face to face with any of the managers but they were kind enough to book me a taxi because my flight out of Austin was early in the morning. Recommended! The apartment was perfect – exactly as advertised. The location couldn’t be better. Check in / out was very simple and flexible on timing. The only warning is that there was no dedicated parking spot and parking is tough in that area. Completely seamless experience, great place, great spot, great price, great host. I travel to Austin 3 or 4 times per year, Ryan’s place is my new go to! Four friends and I stayed at Ryan’s property over the New Year holiday. We were in town for a wedding and were very happy we decided to stay here. The location is perfect – right in the middle of downtown Austin and within walking distance to nearly everything: bars, restaurants, coffee shops, etc. The house itself is great. We had five people and we fit very comfortably with one person sleeping on the air mattress in the living room. The keyless security was extremely convenient and being inside the complex made it feel even more secure. On top of that, Ryan and his team were extremely communicative and helpful. Ryan let me ship a dress I rented to his office and he had a courier run it over to the apartment when it arrived. It was waiting for me at the apartment when I walked in. I can not thank him enough for being so helpful! We had two frustrations during our stay. First, was the poor WiFi connection. We are pretty tech savvy people and followed the instructions, but were not able to get a good connection the entire stay. My boyfriend had to do work while on the trip and ended up having to leave and go to the nearby starbucks to do so. Second, and this isn’t such a big deal but more of a heads up, the acoustics in the house are not great (thin walls and windows) so if you’re sharing the house and looking for a lot of relaxation, this is probably not the place for you. Overall it was a great stay and we would definitely rent from Ryan again! Ryan’s place was absolutely amazing. It looked just as great as the picture and showed. He responded to every question I had very quickly. The location of the condo could not have been better we were walking distance from great places to eat and drink. Not to mention a great grocery store less than a block away. I will be looking to book with Ryan again on my next trip to Austin. The host met us at the door and made sure we could get in okay. The space was accurately described in the listing. The beds were comfortable and the space was ran and bright. The location was perfect since we were walking to the convention center several times a day. I actually did not get a chance to stay due to a last minute emergency, but my colleague stayed and thought Ryan was fine and easy to work with. Communication was satisfactory. There was a sucker waiting for us on the bed! Great location. 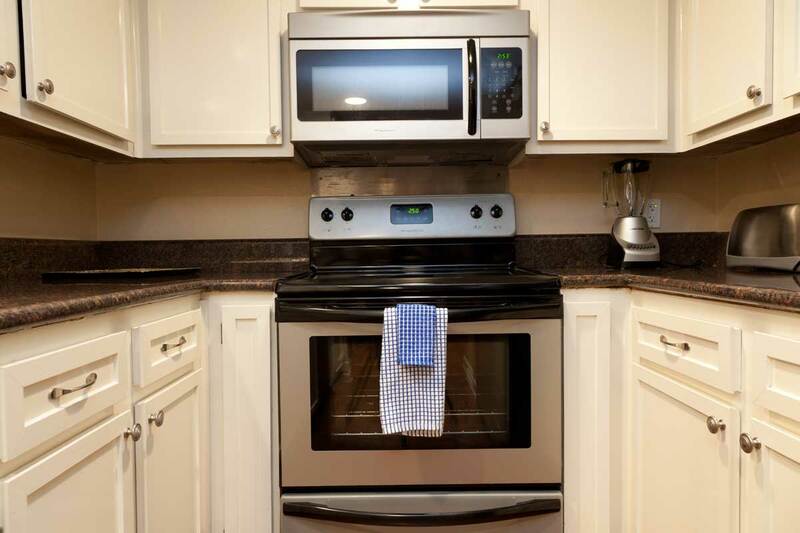 The apartment is really close to the convention center and also convenient walking to the Congress Street Bridge, river walk and not too far from the State Capitol and University. Also, plenty of restaurants right there. Kitchen is well stocked and Keurig is great. Plenty of towels and so nice to have the washer/dryer. The city info Ryan gave us was really helpful. Excellent place, best one I have stayed at in Austin across a few trips and using Airbnb, really good location, close to the action but away from the noise, nice gated car park, decent sizing on rooms and great to have separate toilets for both bedrooms. Only slight problem was WiFi quality was very weak where we stayed, but on the whole brilliant property. Great spot. Close to a lot of good bars and restaurants. Wifi was unreliable and there was limited drawer space. Very clean and parking spot was convenient. Would stay here again. Had a great stay at Ryan’s place. Very clean and perfectly located. Would absolutely rent again when back in Austin. Overall our stay was good and we enjoyed the space. It is very centrally located and private and secure. The only downside was the City noise so if you are looking for a private and relaxing vacation spot this might not be the best location. If you are looking for something secure and in the center of everything then this is a good spot. Thoroughly enjoyed my stay and would love to visit again in the near future. The location is perfect and the apt is right above pool for when it’s really steamy. Ryan was really detailed with his instructions making the stay very fluid. Highly recommend. A colleague and I stayed in Ryan’s apartment for a work trip. The place was clean, quiet and comfortable. The downtown location is fantastic with easy access to restaurants and bars. I would consider staying here again. The condo was great! Very convenient to everything downtown and having a pool was a nice bonus. The condo was very well stocked with the basics (toilet paper, shampoo etc) which was very appreciated! Over all we had a great stay and found the condo perfect for a nice get away! Ryan was so helpful in the reservation & check in process. This was our 1st experience with AirBNB and because of our experience, we would do it again in a heart beat. Host was perfect! I arrived earlier than the others (and earlier than check-in) and was let in to park my car and drop of my things! I loved that all the details are given to you before you get there so there’s no room for confusion and the home was immaculate! Also, appreciated the “Guide to Austin!” Would definitely stay here again and recommend this to anyone wanting a quick vacation like we did! We were very pleased with the management. They let us check in early so that the kids could nap after a very early flight to Austin that morning. They were also quick to resolve a parking situation where someone else had parked in the assigned spot. The place was in a very convenient location downtown next to the convention center. There were lots of things within walking distance. However, it is a fairly busy street and so I thought it was loud at night from people talking while walking down the street to police/fire truck sirens going by every few hours. If city noises bother you, be sure to bring ear plugs. We would certainly stay there again if the need arose. This was a great condo! Awesome location! We could walk around everywhere we needed to go downtown. We were attending an event at the Convention Center and it was very close (1-2 blocks away). The hosts made check in and out easy and quick. The condo was clean and the perfect space for four people. Great experience, thank you! I’ve stayed in this condo bank several times over the last few years and this is by far the nicest unit I’ve stayed in to date. Ryan’s done a fantastic job on this 2 bedroom unit, making it idea for either two travelers or two couples. Location is great for all downtown activities. The pre-check in details were spot on and very easy to use. I would highly recommend staying here, as I plan to do so again in the future. Centrally located. Great decorations. Appliances all worked well. Stayed here with a co-working for a business trip. Would book again. We so enjoyed our stay in Austin. The apartment is in a prime location for experiencing the downtown area. We walked everywhere. Ryan and Thomas were very quick with responses to all my questions and the check in was easy. I would definitely stay here again. We had a great experience at this apartment. Everything was as pictured and we received clear instructions from our host before arrival. Super close to everything that downtown Austin has to offer. Loved not having to carry around a key as the door had keyless entry. This place is in the perfect location! Restaurants and entertainment are a short walk away. 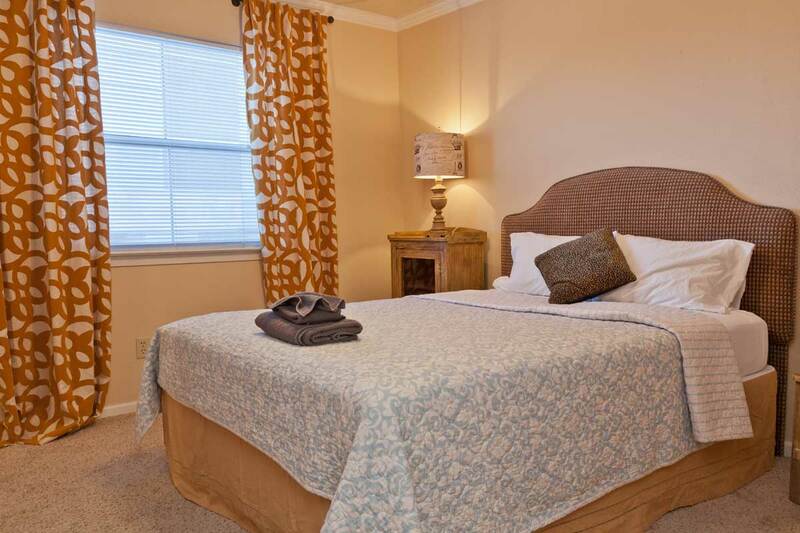 The apartment itself is perfect for a weekend getaway like we had planned! Enough room for all six of us girls. Plenty of mirrors too for getting ready for a night out. The apartment was super clean and stocked with toiletries and kitchen supplies. We would definitely stay here again. It was a very comfortable place to stay. With an easy walk to our conference at the W and right down the street from the restaurants and night life it was an ideal location. The whole process of it was seamless. Great spot downtown in Austin. Excellent host. It was extremely easy to get into the building and into the apartment through the codes provided. Central location for SXSW was amazing. I would 100% recommend this to a friend–absolutely no complaints. The place was exactly as advertised. We loved the location, as we ended up walking around most of the time. It was close enough to the river for a couple morning runs as well as a walk to the capital. Ryan provided a lot of great information prior to our stay that we utilized in planning our activities. We were very pleased with our stay. Communication was easy and Ryan and Thomas were very accommodating to allow us a bit of a later check-out. Thanks! Booking with Ryan was a great experience. He was a gracious host who thought of everything from the extensive list of things to do & places to eat at in Austin to the complimentary coffee & toiletries. 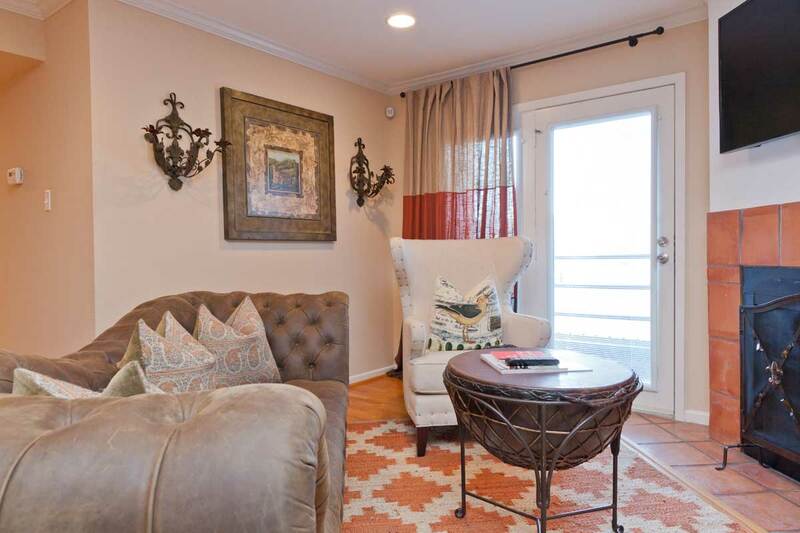 The condo was just as it was advertised – very clean, chic, & conveniently located downtown. It was an ideal home away from home. We would absolutely book again. The downtown poolside getaway was a perfect and inviting place to stay, with many benefits over staying at a hotel while in Austin. The living space was exactly as stated and pictured in the description, and in a great location for tourists exploring downtown Austin. This was a great place for me to stay personally, because of its proximity to the convention center (extremely short walk only a few blocks away). Had some difficulty with the wifi, but other then that has a fantastic stay. Would select again and recommend. Great bathroom set up with two separate bathrooms connected to the shared shower, great for 2 couples to share. Thank you!! Great host. Very helpful and responsive to all questions I had. Apt location was safe and close to everything I wanted to do in Austin. Thanks again! Fantastic Place in a gated community. Gentle sounds of a couple of waterfalls remove you from the downtown scene. The place was great and just as advertised! Ryan and his staff were very responsive and were especially kind and helpful in allowing us to store our bags until the apartment was ready. Thank you! It was great to stay here! Thomas let us drop our suitcases before check in and he was always available when we needed him. The wifi had an issue, so I called Thomas and he fixed it right away. Top service! It was a great apartment in the middle of Austin. Walking distance to any location downtown. Brilliant location. Thank you Ryan & Thomas! Ryan was responsive, the unit was clean and spacious, and the pricing was fair! Would definitely book with him again. We were very pleased with the accommodations, neat, clean and as advertised. I highly recommend Ryan as a host. The only difficulty we had was connecting to the Internet which Ryan had fixed right away. Thanks Ryan. Appreciate it dude. Wasn’t sure how to get in at first. Parking was pain until we got in. Thanks again! We had a wonderful long weekend in Austin and Ryan’s condo was the perfect location. We walked almost everywhere, but having a parking spot was great because a car was necessary for some excursions. Even though it’s right downtown, the condo was quiet. The pool is small but still refreshing after walking around in the heat. Ryan had everything we needed – towels, laundry supplies, toiletries. The condo was clean & checking in & checking out was seamless. We actually didn’t stay in this rental, as there was damage from a flood in the apartment above, and we stayed in another property – The Speakeasy. We found out about the change a 1+ week in advance, so it wasn’t a bother. The new apartment was in the building next door and had the same amenities as this original place. It was very nice, well-appointed, clean and stocked with the basic supplies (linens, towels, shampoo/conditioner, body wash, plates, glassware, cutlery, pots and pans and even a keurig w/ k-cups!). It was perfect for our week in Austin for the F1 race. Having the full kitchen also saved us a lot of money from having to eat out at every meal, and when you are spending $12 for a taco at COTA, you can use all the savings you can get. The area around the rental is really great for walking almost everywhere – 6th Street, SoCo, Whole Foods, etc. We only used a pedicab once (other than the shuttle to/from the airport and COTA) and that was more for the experience than the need. For food places, I recommend The Backspace for dinner (recommendation from Ryan’s area guide – thanks!). Also, of note, you can hear the goings-on of people and cars on 4th street, so bring ear plugs or use a white noise app on your phone if you are a light sleeper. 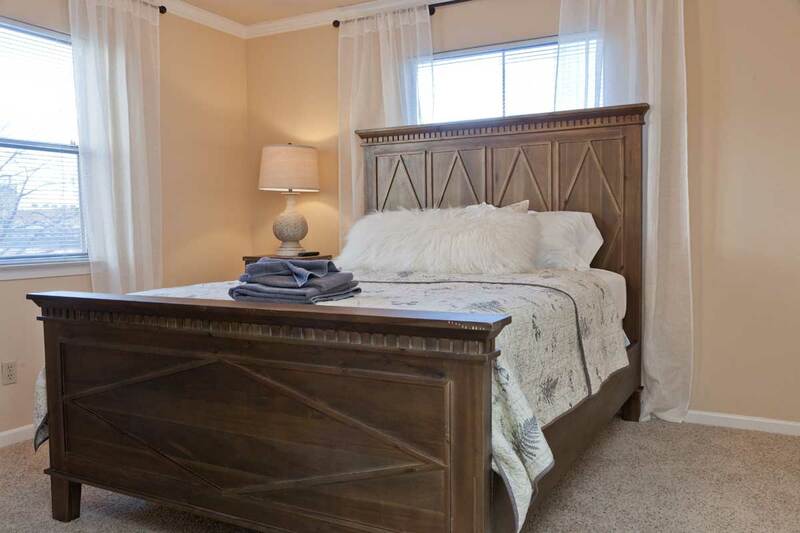 Or, if you are utilizing only one bedroom, I recommend sleeping in the back bedroom, which doesn’t face the street. Ryan and Thomas, his associate, were great hosts. Very prompt and detailed with communications. We would definitely book again with Ryan! The rental was great! It was exactly what we expected and worked well for the 5 people we had in our group. Getting in to the condo was simple with the detailed instructions Ryan and his assistant e-mailed to us just a day after the booking. The only glitch was that the sheets in the linen closet were for a twin bed, and they didn’t fit the air mattress (which was a double or queen). But a quick message to our hosts got us the correct size sheets very quickly. In the corner bedroom there is noise from the street below, but I used earplugs and then it wasn’t a problem. The location was great — just two blocks from 6th street and central or a short walk to a lot of downtown Austin’s highlights. I would definitely recommend this place again. Clean, tidy, convenient, and great communication with the owners/management. Excellent experience staying in Ryan’s unit – met all of our needs, he was extremely responsive, the place was very comfortable, and the location was perfect. Great place that was very close to the convention center! Would definitely stay here again next time I’m in Austin! Perfect house in downtown location – we had a wedding in the downtown area and were not only able to walk to all the locations but also the apartment had plenty of needed tools (kitchen, iron) that made it a perfect place for us out of towners! Presented exactly as described, and easy to access with no fuss, I’d definitely stay here again. Thanks Ryan! My wife, our friends and I greatly enjoyed our stay. Ryan was terrific to work with and more than happy to help with whatever we needed. The location of the place is near perfect. We were able to walk to all of the different areas of Austin we wanted to visit. We all highly recommend staying here. Ryan was a great host, easy to contact, quick to reply, and went above and beyond to make our stay what we wanted. Both of the units we rented were very clean and exactly as pictured. Will definitely look to stay here again. Fantastic location and extremely professional hosts. Being so centrally located and having a parking spot made exploring the area easy. The owners went out of their way to provide us with baby gear, which made the trip from New York a lot more manageable with a toddler. Highly recommend. This is the perfect place to stay if you are looking to explore Austin. It was so convenient and close to everything. The condo was very nice and we look forward to going back soon! Really enjoyed the 4th Street & “St. Jac” (as the locals call it) location. In the heart of DT Austin, walkable distance to food, drink and live music. The apartments were very clean and had a great, relaxing atmosphere. I’d be happy to come back and stay again. Ryan’s apartment is centrally located downtown, footsteps away from all the SXSW fun. His home is spacious, cozy and lovely. Ryan was very nice, very communicative, and accommodating. Definitely recommend his place to visitors of Austin. Ryan is the epitome of what Airbnb hosts should be: extremely professional, understanding, and always willing to go the extra mile. My friends and I were thoroughly impressed with him. The place is very clean, good-looking, and in the perfect location…right in the heart of it all. Staying here again will be a no-brainer! Clean apartment, well situated. Great parking. Für zwei Paare komfortabel und zentral gelegene Wohnung. Ryan was very hospitable and always reachable in the event we needed something. I would highly recommend his place on 4th Street as it is conveniently located and a much better deal for a small group than turning to the pricey area hotels. Great time! Ryan was a great host! He was very quick to communicate with our group and the place was just as lovely as described. What a perfect location for staying in Austin!! Ryan was extremely easy to work with, very responsive, and accommodating. The apartment is spacious and clean. Great all around – very nice place with good location and great host! Ryan was helpful with our stay. His apartment is very clean and well furnished. The location is exceptional. We had a great time! The apartment and hosts were great! Perfect location — really can’t get any better — and any time I needed a little something extra (e.g. an air mattress and an iron) the hosts were on hand to help out. I’d definitely stay with them again. Great location, great responsiveness, great property , great guy in Ryan… I would recommend and rent from him again. I will say that we have become rather accustomed to staying at one of Ryan’s properties when we visit Austin. Each one of his places in unique in design, but absolutely meets our needs and expectations. From the comfortable environment of the property, to the convenient location in downtown Austin, I highly recommend Ryan as a host for your next Austin visit. We had a great stay in this apartment. It was very clean and safe. 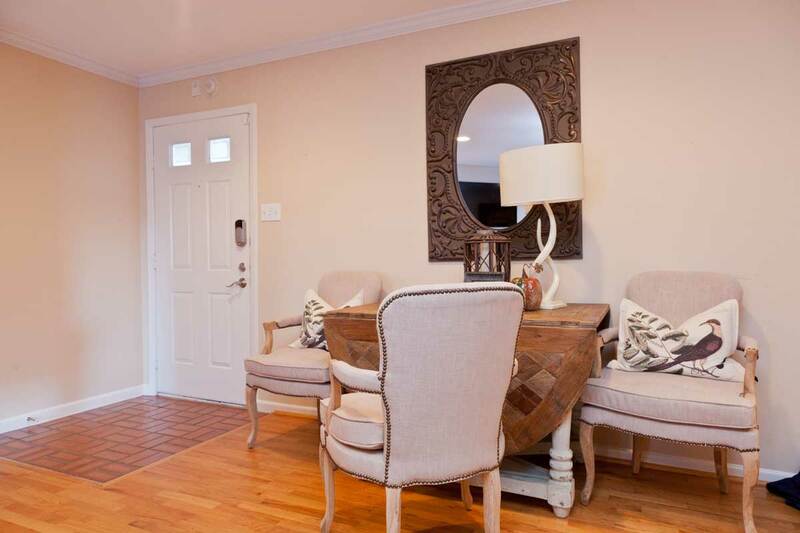 Perfect location – walking distance to a variety of night life and restaurants. Ryan was available at all times to answer any questions. Zero complaints on all fronts. Totally recommend to anyone who wants to stay downtown Austin.